1) Could you please tell us about yourself? Hello! My name is George Bunea, CEO and co-founder of the IPSX project. 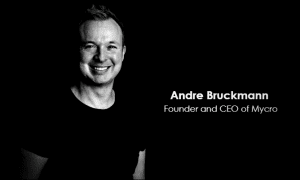 I’m also the co-founder of BoostIT, our IT partner that will support us in developing the IPSX network and its associated applications. A little bit about my background: I’m a computer scientist specializing in cybersecurity, network protocols and Big Data/data acquisition. I’ve been an entrepreneur since 2008, a long-time blockchain enthusiast and evangelist, and since the beginning of 2017, an investor in traditional and blockchain start-ups. Outside of my work as a CEO and investor, I dedicate my time to supporting the blockchain community by sharing the knowledge and experience I’ve acquired over the years. Periodically we even organize meet-ups at our offices in Bucharest and Zurich. IPSX stands for IP Sharing Exchange (IP meaning Internet Protocol). Alongside distributed storage and processing, IPSX will be a core component of the next layer of the web known as the distributed network layer. IPSX is the first IP exchange that connects actors in a peer-to-peer network, enabling data center owners and individual users (“Providers”) to rent IPs to other users (“Requesters”). The IP addresses can be used to complete different tasks requiring one or more IPs from different locations. Today, IP addresses are valuable assets with a low liquidity level due to the fact that there is not a simple solution to share/rent IPs based on a specific list of filters. As it stands, IP resources are supplied by centralized providers which are constrained by closed networks, proprietary payment systems, and many other restrictions. IPSX’s core, built-in feature set is a dedicated Ethereum-based transaction system, which enables direct payments between Requesters and Providers, increasing the liquidity of the IPs and allowing any actor that has an IP on his device to take part in a multi-billion yearly business that has otherwise been closed to home internet users. 3) What inspired you to launch a Blockchain and Cryptocurrency venture with IPSX? In 2011 some of the IPSX co-founders, Sergiu and Xavier, launched a custom data mining platform called GeoRanker. Although I was not part of the team at that time, I did join later in 2014 as an advisor. At GeoRanker we identified a huge problem when it comes to the liquidity of IP addresses. For data acquisition, a huge volume of IPs is required and we faced many challenges in finding the necessary IP addresses. Not only that, but the administrative burden of renting IPs through legacy providers was very difficult. No single company was able to provide us with the thousands of IPs we needed to properly run our business. Instead we were forced to use smaller batches through multiple providers. The inefficiencies of this approach became further amplified when considering the processes of traditional business: legal contracts and slow international payments. Costs aside, it can sometimes take weeks before one can actually use the IP addresses from these providers. On the other hand, there are Data Centers that have huge amounts of unused IPs that are generating monthly costs. Without having an easy-to-use solution to share/rent these IPs, Data Centers are essentially missing out on what could be a new and simple revenue stream. IPSX aims to provide them this simple solution, and allow Data Centers to cut costs and actually start generating profits with their unused IPs. 4) How will IPSX reshape the VPN sector as well as the Internet overall? The first industry to be targeted by our IP sharing network is the VPN market. What IPSX will bring to the VPN market and its customers will be flexibility, meaning that if you need an IP for a certain amount of time, let’s say 10 minutes, you won’t be forced to have a monthly subscription. This is a simple example of the added utility IPSX brings to market that the end users will feel right away. When we consider that a little more than 25% of all Internet users use a VPN on a daily basis, the huge potential of our business model becomes pretty apparent. It should be noted, however, that the IPSX business model is not focused on becoming a VPN service provider or competing with them. Instead, IPSX aims to partner with VPN service providers from all around the world and help them with their IP requirements. Regarding the Internet in general, IPSX has the potential to become a core component of the distributed network layer. With IoT devices becoming commonplace and decentralization taking hold, providing a solution for everybody to share IPs in real-time, worldwide will truly bring value to people that from different reasons have restrictions and censorships of any kind. Also by providing intelligent tools (SDK and APIs) all the service providers will be able to integrate with the IPSX ecosystem and I think valuable applications and solutions will be born. 5) How does blockchain technology help IPSX accomplish this? Integrating blockchain into the IP Sharing Exchange is done because it provides the best solution to the problems we already identified in doing business with IP providers. Unlike so many out there, we are not a blockchain solution in search of a problem. We found a problem and the best solution was blockchain. Problems such as manually handling contracts are best solved through automated smart contracts. Traditional businesses handling fiat would need to price in factors such as non-payment, banking fees and so forth. Once more, the nature of payment via blockchain resolves this problem. Whilst we still intend to operate a traditional, centralized business, we can see the near endless ways in which decentralization and blockchain are able to improve trust, value, and security for the IPSX project. 6) How much do you intend to raise in the IPSX Token Sale and what are the steps for contributing? The max hard cap is set to 10 800 ETH. We already raised 6500 ETH from private investors and we were grateful and amazed by the overwhelming interest we’ve received to date. We received requests for more than 30 000 ETH. However, we kept 4300 ETH for our public sale that is expected to happen on 28th Feb 2018. It will be a whitelist + KYC/AML public token sale. Any unsold tokens will be burned and we will reconsider the ETH hard cap if the ETH price rises too much in the meantime. We don’t want to raise more than about 10 mil USD as we simply don’t need more than this to accomplish our goals. 7) Do you know which exchanges the IPSX token will be traded on at this time? We started approaching several exchanges. However, due to the confidential nature of this information we can’t reveal any exchange names just yet. I will say, however, from my own experience as an investor in blockchain start-ups, I am fully aware of the importance listings have on being able to bring new people into an ecosystem and helping it to thrive. 8) What were some of the biggest challenges you encountered while working to launch your ICO? The second challenge was to clearly define the token’s internal economy, token metrics and token sale strategy. It was a team effort and we were lucky enough to have immense support from the Ethereum community. Our ethos has always been about continuously improving, meaning that we asked for reviews for everything (whitepaper, token metrics, hard cap). We engaged with the community as much as possible and we intend continue this well into the future also. We even asked for the community’s support to spread the news about open positions within the company. 9) What’s going to happen to IPSX after the token sale concludes and where do you see things in 5 years? Building a strong product (our major focus) that will be both solid and flexible. Solid in terms of providing high quality services and great user experience, flexible in terms of being adaptable to new technological innovations that will undoubtedly arise in the future. Within 5 years we aim to be one of the major, core components that will be able to provide the backbone for industries like VPN and Big Data. It’s a market of over $300 billion/year and we are planning on taking it step by step. Even having 1% market value as company from such a huge market is something big. However, we are aiming much higher than that and have set out a solid long-term vision with very achievable milestones along the way. For now I can’t provide all the details, however, as some of them are pretty sensitive and for others we are still in process of researching. We will release the information gradually as it will become wise from business perspective. 10) What are your marketing and sales strategies to achieve that? We have an in-house marketing team and sales department that have been working on this type of product since 2011. We are continuously aligning our marketing and sales strategies according to specific needs within the market. The strategic partnerships we have been working on will also be a critical element of our growth strategy. 11) Could you tell us a little about your team and customer support? IPSX project has 3 co-founders: myself, Xavier and Sergiu. We’ve known each other for many years. We are more than just business partners, we are also good friends. We have a close relationship based on trust and confidence that everyone is doing his part in the best way possible. We built a team spread across the globe with offices in Switzerland, Canada, Brazil (a small team of 7 software developers) and Romania. Most of the technical implementation will be done in our office from Romania. We have a great team of software developers, architects, security experts, UX, support, design, copywriting and others. We are also continually recruiting and trying to attract top talent in our team. Overall, we have a team of more than 60 people and we are expecting to grow to 100 this year. Not all of them are working for IPSX project, but it means we have a tremendously deep pool of talent to draw on in helping us achieve the vision for IPSX. Going back to earlier where I mentioned we would still be a traditional business, IPSX will have a 24/7 dedicated support team that will be accessible via a ticket management system, real-time chat system worldwide, and by phone for select countries. 12) Would you like to talk about your legal and security measures? Regarding the security of our IT infrastructure, we have proficient cybersecurity experts in house and also external auditors. 13) Do you have more information for our readers? I would like to thank everybody for reading the interview. Also I encourage everybody to join our telegram group at: https://t.me/IPExchange and ask any additional questions there. Also please stay tuned for updates as we move closer to the Token Generation Event launch. That being said, I wish you all the best!